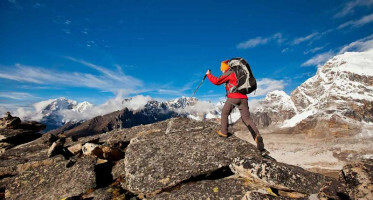 Why seek the Hidden Treasures of Tibet? Nestled betwixt Nepal and China, at the roof of the world lies Tibet. 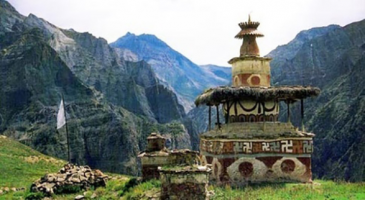 Bastion of Buddhism for a thousand years and home to the Monpa, Qiang and Lhoba peoples. If it’s good enough for the Dalai Lama; it’s good enough for anyone! There’s simply too much to tell you, but highlights include the Gelugpa and Ganden Monasteries - the latter is the Tibetan name for the paradise and home to the Golden Tomb of Tsongkhapa who The Buddha prophesied about, 2,000 years before it came true! In Lhasa you’ll experience the Saga Dawa Festival, which celebrates the enlightenment of The Buddha, explore the city’s most sacred sites including Potala Palace and Jokhang and sample traditional, spicy and delicious Sichuan cuisine all the way! Sounds incredible, what else makes Tibet so mesmerising? In Tsetang we guarantee you’ll gasp at the Yarlung Valley, the colossal tombs of Chongye and Trandruk Monastery. You’ll marvel at the serenity of the beautiful Samye and Zhalu Monasteries before standing in awe at the Gyantse Dzong; an ancient fortress which sits on a huge spur of grey rock. During your last days, you’ll visit the exceptional Debating Courtyard and tour Norbulingka Palace; the summer residence of the Dalai Lama. On your last day, you’ll experience the hustle and bustle of the famed Barkhor Square, bargaining for turquoise jewelry, carpets, yak wool boots and Tibetan fur hats before flying home. This two-week adventure promises to open both your eyes and cleanse your third, so click the link for the path to enlightenment! Mingle with the ancient Monpa, Qiang and Lhoba peoples. See the colossal tombs of Chongye and Trandruk Monastery and many more!